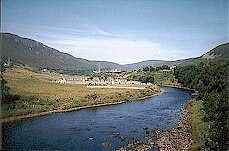 During the nineteenth century, the Dukes of Sutherland owned virtually the whole of the modern county of Sutherland. 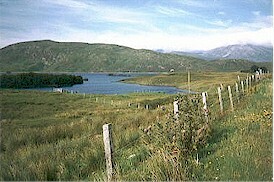 The western area of Assynt, which was purchased in the mid-eighteenth century was actually MacLeod country, and the northwestern area of Strathnaver was MacKay territory. 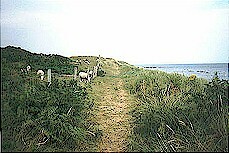 Much of the northern region is wilderness. 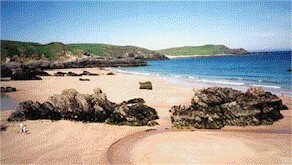 The scenery varies from panoramic mountain views and tiny islands to moorland and remote sandy beaches. 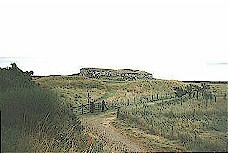 There are dozens of ruined castles and ancient monuments, particularly in the east. 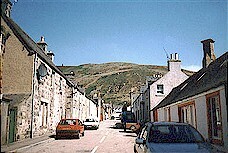 Most of Clan Sutherland’s history revolves around east coast towns such as Golspie, Dornoch, Brora and Helmsdale. 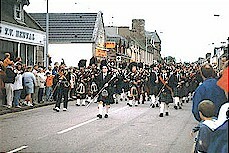 1 Picture courtesy of and copyright by The Internet Guide to Scotland. 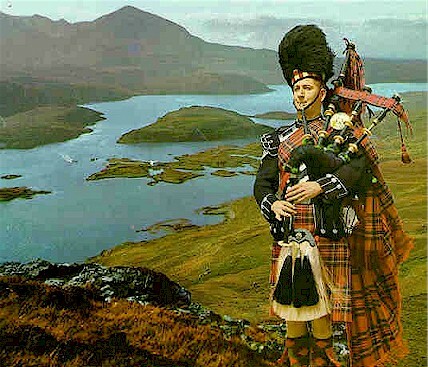 2 Picture courtesy of The Internet Guide to Scotland. 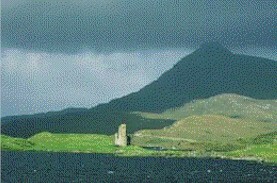 4 Picture courtesy of and copyright by The Internet Guide to Scotland. 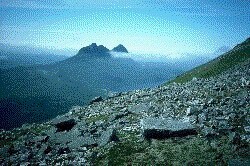 5 Picture courtesy of and copyright by The Internet Guide to Scotland. 7 Picture courtesy of Dave Armstrong.